Since the Leahy–Smith America Invents Act (“AIA”) became effective in 2012, Inter Partes Review (“IPR”) has been a popular legal option for challenging patent validity. Any party, other than the patent owner, can petition for the Patent Trial and Appeal Board (“PTAB”) to institute an IPR. In an IPR proceeding, the PTAB determines the validity of a patent after holding a hearing between the patent owner and challenger. The PTAB is required to institute an IPR proceeding within six months of a petition and make a final determination no more than 18 months after institution. The quick time frame and ability to avoid the massive expense of trial have made IPRproceedings immensely popular for parties challenging the validity of a patent. 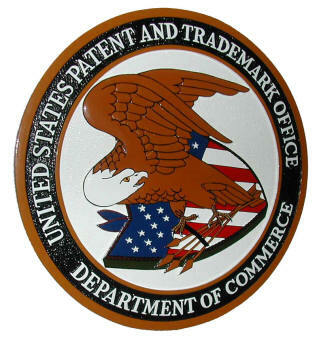 For patent owners, however, IPR proceedings represent a new threat to their patent rights. Over 80 percent of IPR proceedings have invalidated at least one claim of the patent-at-issue. Licensees in particular pose a threat, because licensees commonly have the most incentive and knowledge to challenge the validity of the licensed patent. Therefore, patent owners will likely attempt to prevent licensees from petitioning for IPR using arbitration agreements. Whether an arbitration agreement may waive a party’s right to petition for IPR is an open question. This issue is discussed in depth in Luke Budiardjo’s recent Note titled “The Effect of Arbitration Agreements on the America Invents Act’s Inter Partes Review Procedure,” 118 Colum. L. Rev. 83 (2018). On the other hand, Congress passed the AIA with the intention of creating an easier pathway to invalidate improperly granted patents. Allowing arbitration to prevent parties from petitioning for IPR could frustrate Congress’s intent. While the body of case law on arbitration doctrine clearly establishes that judicial bodies must enforce arbitration agreements, developments in arbitration and administrative law in the 1990s suggest that arbitration clauses might not legally operate to prevent a party from availing itself of administrative procedures set up by Congress. [A] party bound by an arbitration agreement is nonetheless still able to submit complaints and request investigation by an administrative agency, as long as the administrative procedures utilized follow a complaint­­­–investigation structure, under which the party submitting the complaint has little to no involvement in the investigation (after the initial petition). [A] court could view the characteristically oppositional, participatory nature of the post-issuance proceedings as an indication that Congress intended for the procedures to be, primarily, a means for the resolution of disputes. Such a finding would bolster the argument that, because IPR is a dispute resolution mechanism that provides an alternative to district court litigation, an arbitration agreement should have the same force in an IPR petition as it would in district court. However, this conclusion may risk the frustration of another crucial motivation behind the IPR statute: to “protect the public’s paramount interest in seeing that patent monopolies . . . are kept within their legitimate scope.” By preventing licensees from petitioning for IPR on the basis of arbitration agreements, this conclusion may prevent the use of IPR procedures by the parties most likely and most motivated to take advantage of them. [I]t remains possible for a related party (for example, an investor, an industry group, or a trade association) to petition for an IPR to challenge the validity of the patent in question, as long as the petitioner does not do so in response to a specific request from the party bound by the arbitration clause. For owners seeking to protect their patents, an arbitration agreement may be able to prevent licensees from challenging the validity of a patent through IPR. If courts ultimately hold that arbitration agreements can be used in such a way, the benefit to patent owners is clear: the party with the most incentive to challenge a patent and the most knowledge to successfully do so would be contractually barred from utilizing IPR. Still, patent owners must consider the possibility that arbitration agreements may not be enforced to prevent a licensee from petitioning for IPR until the issue is settled in the courts. Even if courts conclude that an arbitration clause cannot be utilized to prevent licensees from petitioning for IPR, arbitration is still a useful tool to consider when deciding how to resolve patent disputes. Arbitration is often significantly cheaper and faster than litigation. Additionally, arbitration allows the parties to jointly select a decision-maker with technical expertise in the subject matter of the dispute. Furthermore, arbitration offers a much greater degree of finality than litigation because there is no right to appeal and an award may only be reviewed by the courts on narrowly limited grounds. For many patent owners, this level finality can be vital. Lastly, arbitration is typically confidential, allowing sensitive information regarding intellectual property rights to be protected. The post Using Arbitration Agreements to Waive the Right to Petition for Inter Partes Review appeared first on ADR Toolbox. This post, Using Arbitration Agreements to Waive the Right to Petition for Inter Partes Review, by Beth Graham, Disputing first appeared on March 25, 2019 10:00 am at http://www.adrtoolbox.com/.